The adoption by the Bicameral Conference Committee, chaired by Senator Cynthia Villar who heads the Senate Committee on Agriculture, came barely two weeks after President Rody Duterte urged Congress during his State of the Nation Address to end the long wait of the coconut farmers for the benefits coming from the Coconut Levy. The approval of the bill was the final step in the realization of the demand of the country's coconut farmers to use the money accumulated through the years sourced from taxes imposed on coconut products. The coconut levy started with the passage of Republic Act 6260, the Coconut Investment Act, of 19 June 1971 which created the Coconut Investment Fund and a Coconut Investment Company (CIC). (d) to ensure stable and better income for coconut farmers. The money collected through the CIC, however, became a central object of controversy with farmers claiming that they have not benefitted from the fund. 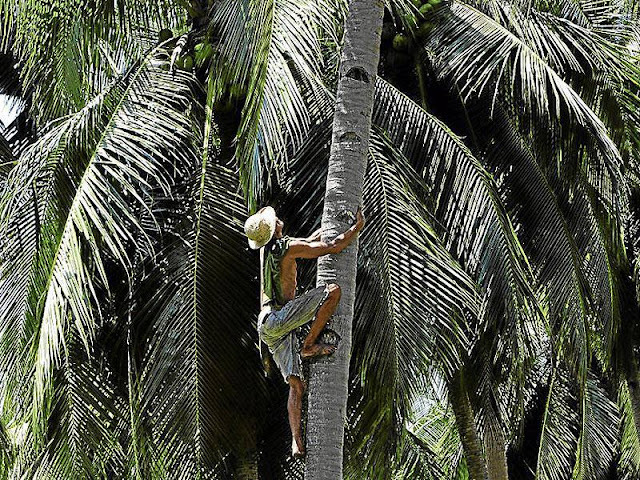 The total amount of the fund today is about P105-B and attempts to use it for the development of the coconut industry were waylaid by numerous cases filed before the Supreme Court. President Duterte, during the Presidential campaign of 2016, made a commitment to return the money to the coconut farmers of the country, a promise which is now seeing fulfilment with the passage of the Bicam Bill on the Coconut Levy Trust Fund yesterday. Sen. Villar yesterday said that under the bill, the Coconut Levy Trust Fund would be included in the General Appropriations Act and the P105-B coconut levy fund. The fund will be managed by a reconstituted Philippine Coconut Authority which will be placed under the Department of Agriculture. The reconstituted PCA board will be composed of four representatives from government, six coconut farmers and one from the coconut industry. “It will be invested in treasury bills and every year, we will give to the reconstituted PCA to spend it as we enumerated where to spend it; like it will be spent on scholarship of children of farmers, their health benefits, and their shared facilities program and then their program to improve their farms,” Senator Villar said in an interview yesterday after the Bicameral Committee Conference. Following the approval by the Bicameral Committee yesterday, the bill will be transmitted back to both the Senate and the House of Representatives for ratification after which it will be signed into law by President Duterte.